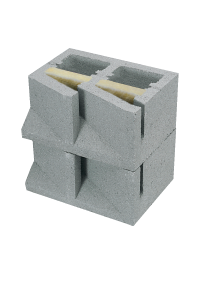 SOUNDBLOX and SOUNDCELL Architectural Concrete Masonry Units are structural and absorptive barriers that positively improve sound quality of interior rooms and outdoor environments, while providing structure for walls and buildings. SOUNDBLOX and SOUNDCELL ACMUs are utilized to construct versatile structures. ACMUs provide permanent walls comprising system performance characteristics and benefits not found with other wall systems and acoustical improvement products. The SOUNDCELL unit’s design innovation is your practical solution to effectively absorb problem noise, diffuse sound energy, and more thoroughly capture flutter echo, standing waves and sound intensity annoyances — with style.